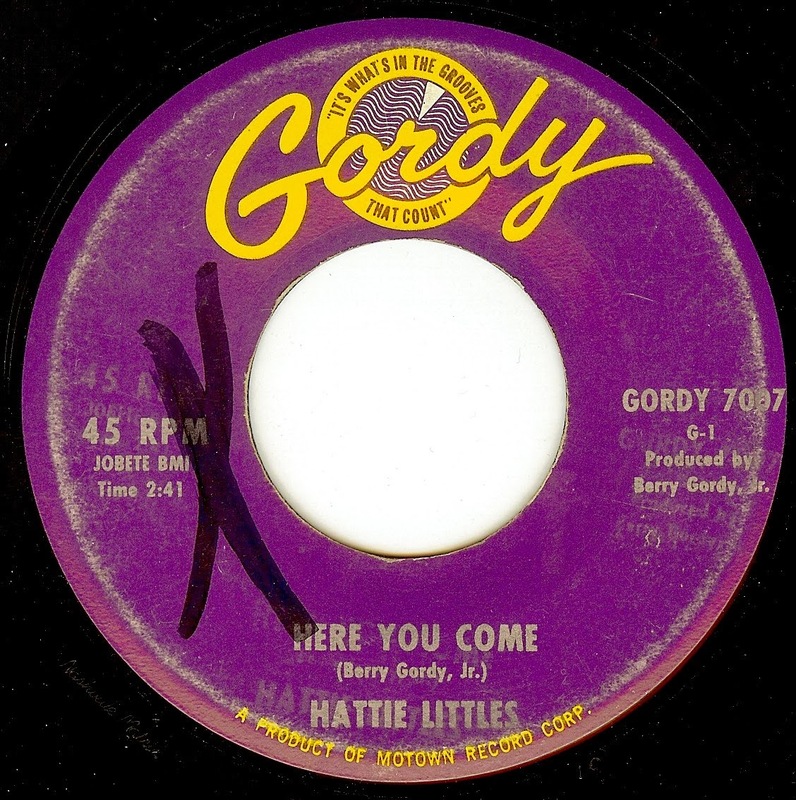 Detroit singer Hattie Littles was discovered by Motown producer/ songwriter Clarence Paul while she was singing at a local talent show. With a rich, powerful, bluesy voice, she could have added a different kind of dimension to the Motown sound. Sadly, she succumbed to substance abuse, and none of the other sides she recorded in the '60's were released. She did have a resurgence, when English DJ/ producer Ian Levine found her and brought her over to England to record and perform in the '80's & '90's. Showing the influence of the type of Latin infused soul that producer Bert Berns was churning out in New York City, 'Here You Come' was, technically, the b-side, but I find it a bit stronger than the bluesy (also excellent) 'Your Love Is Wonderful'. Sadly, the record went nowhere, and allegedly Hattie herself didn't like it. This would have been a hit in Philly. You'd think that Jerry Blavat would have played it.